Ivory’s rapid ascent from little-used defensive stopper to starting point guard coincided with Austin Peay’s rise from a predicted finish of 11th in the preseason to the OVC Tournament semifinals and a spot in the CIT, where the Govs advanced to the quarterfinals. 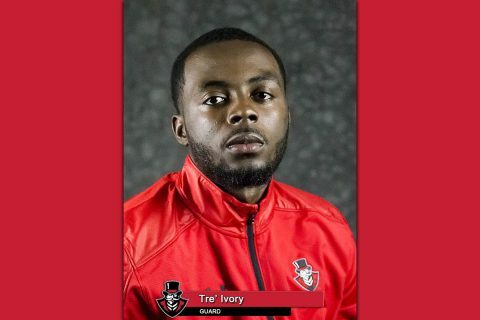 The lone four-year senior on the squad, Ivory offered a steadying presence as the offensive pacemaker, aiding the Govs to their highest assist average (13.3 apg) during Ivory’s time as a Governor. Along the way, Ivory set career-highs in every conceivable statistical category, starting and playing all 34 games. His 134 assists (3.9 apg) were the most by a Gov in a single-season since 2013-14 and his skill at the head of Austin Peay’s manic defense helped force opponents into 549 turnovers (16.1 per game), resulting on average in 17.2 points per contest off turnover. Via Synergy Sports, Ivory was among the nation’s best defending opponents off the dribble, allowing just 19.4 percent shooting in halfcourt sets off the dribble (ranked in the 91st percentile across Division I basketball), restricted opponents to just 35.9 percent scoring off isolation plays and was efficient against the pick-and-roll as well, limiting opponents to 33.3 percent shooting. Ivory’s signing makes him the eighth Governors men’s basketball player to sign a professional contract for the upcoming season. In addition to 2018 departures Ivory and Averyl Ugba (Pully Basket/Switzerland), former Govs in the pro ranks are set to include Wesley Channels (Keravnos/Cyprus), Chris Freeman (Cojute/El Salvador), Chris Horton (Kymis/Greece), Kenny Jones (Suez Canal/Egypt), Drake Reed (Evreux/France) and Derek Wright (Rilski/Bulgaria). John Murry, who spent last season in Canada, is likely to return up north put had not finalized his plans as of press time.